Beauty and secret: Miss Earth 2011 final results! Miss Earth 2011 final results! Olga Alava, Miss Ecuador was crowned Miss Earth 2011 on December 3rd, during an event held at the University of the Philippines Theatre. Olga Alava, Miss Ecuador was crowned Miss Earth 2011 on December 3rd, during an event held at the University of the Philippines Theatre. Olga was born in Guayaquil, Ecuador on February 14th, 1988. She stands 1.73 m with measurements 88-60-92. 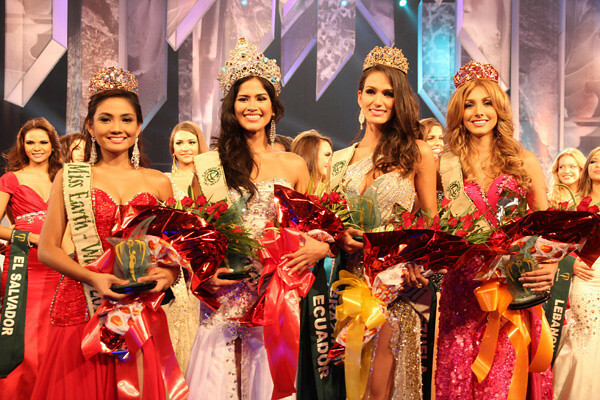 Miss Brazil Driely Bennettone won Miss Earth-Air 2011 tittle; Miss Philippines Athena Mae Imperial won Miss Earth-Water 2011 ; and Miss Venezuela, Caroline Medina won Miss Earth-Fire 2011.